The first city in the UK to become a UNESCO city of design, Dundee, in Scotland, is fast becoming one of Europe’s rising design destinations. Home to a wealth of theatres, museums and galleries, the city also now boasts Scotland’s first design museum, the V&A Dundee. Those hoping to visit the design-centric city, however, would do well to look to its outskirts for somewhere to stay– including in the small university town of St Andrews. Half an hour outside Dundee, and short stroll from the coast, St Andrews has the benefit of being near the city while also maintaining its own charm – including playing host to the renowned golf course, the Old Course, and the remarkable West Sands Beach. 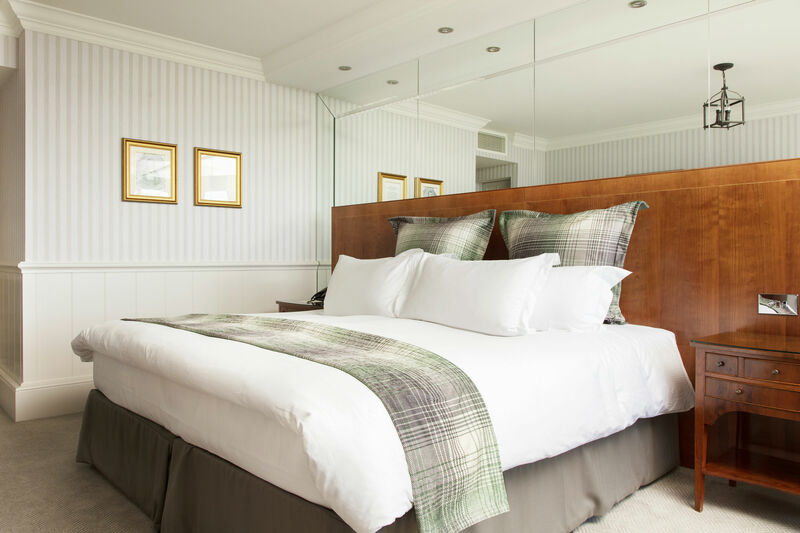 In fact, it could be said that St Andrews is home to its own design icon: the Old Course Hotel, Golf Resort and Spa, which has recently completed its second renovation in the past three years. Owned and operated by Kohler Co, the first of the Old Course Hotel’s renovations focused on the public areas of the hotel and a soft refurbishment of over 100 of the hotel’s 144 rooms and suites. 35 of the luxury suites were designed by acclaimed interior designer, Jacques Garcia. 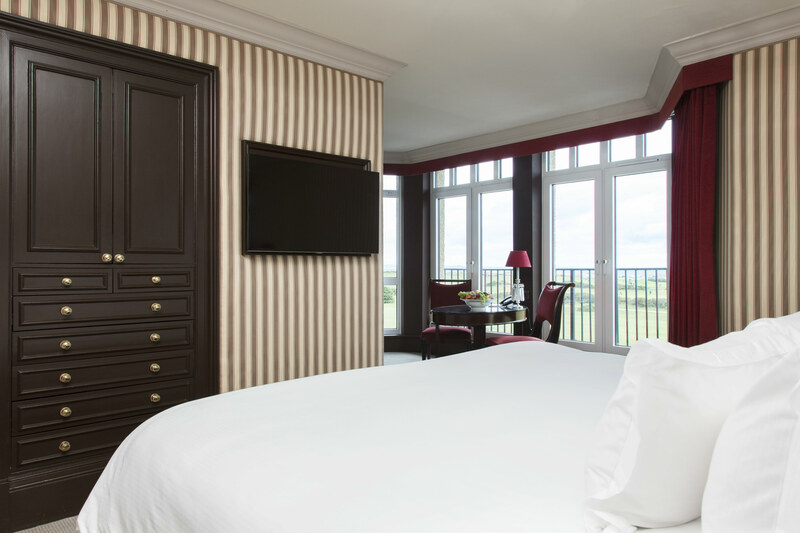 The first of the rooms Garcia designed – the traditional Old Course suites – are situated above the famous 17th ‘Road Hole’ on the Old Course. These rooms have been designed with Garcia’s signature stripes on the silk-lined walls. 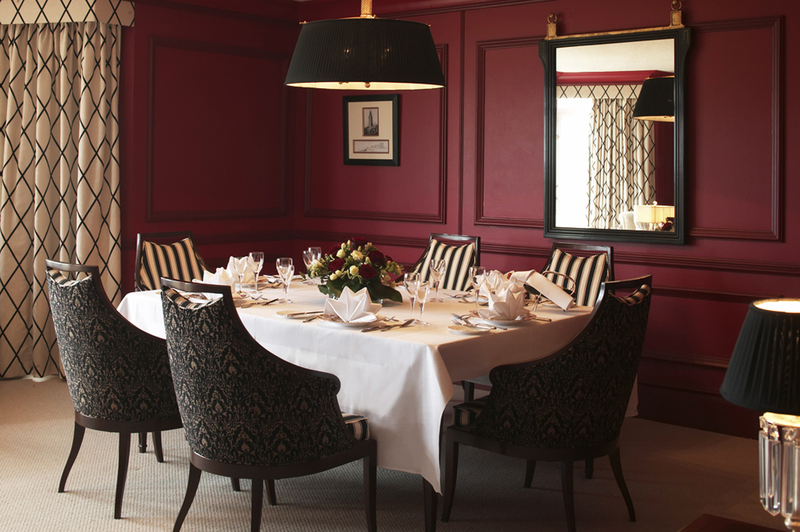 The stripes continue in other aspects of the rooms, such as in the fabric of the armchairs in the sitting room area; a plush carpet lies underfoot, and the traditional, cosy feeling of the rooms is completed with dark wood furnishings. As well as changes to the rooms’ aesthetics, the renovation included modern updates in all the rooms, including installing USB charging points, wardrobe lighting and ergonomic electric outlets. In many of the rooms he designed, Garcia used tactile fabrics and rich colours to give them a sense of warmth. This is particularly important in the rooms that feature large (or even floor-to-ceiling) windows; while these beautiful, large windows look out over amazing scenery, the rooms that face the North Sea are often battered by strong winds. The warm, sumptuous interiors that Garcia has created do well to offset the potential chill. Interestingly, other suites don’t follow the same interior scheme, giving a unique quality to the different options; guests will have a range of experiences within the hotel depending on the room they choose, or which part of the hotel they decide to stay in. For example, the Deluxe suites have marbled floors instead of carpet, with a rich, red colour palette. Meanwhile, the Fairway suites are less traditional; they have open, contemporary interiors with neutral tones and light wood furnishings. During this first round of renovations, Kohler Co also refurbished the building’s windows and roof. Euroshield were employed to replace the existing roof with an environmentally-friendly rubber alternative, so that any stray golf balls that hit the structure from the surrounding course will bounce off. The new roof – one of the only types available on the market – now has the ability to absorb and deflect energy from the golf balls’ impact, without being dented, cracked or damaged. 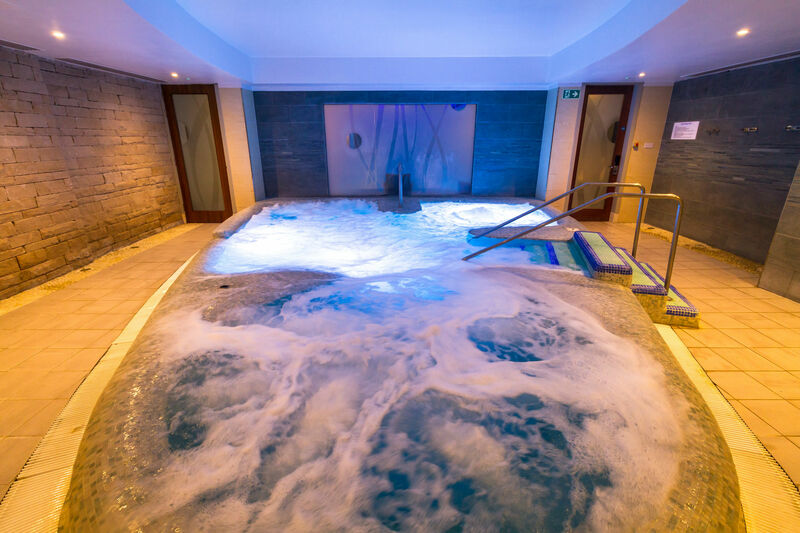 Taking place over three months at the end of 2017, the second part of this multi-million pound refurbishment consisted of renovating the spa and creating a new leisure centre. 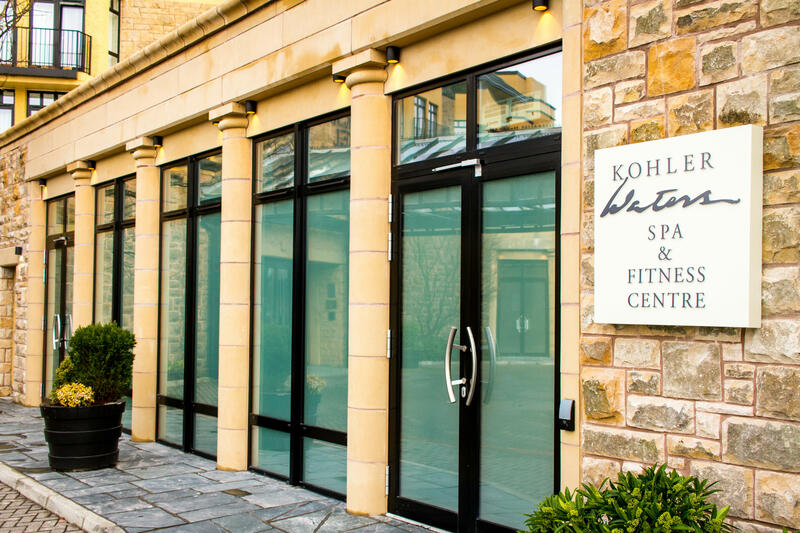 The spa within the Old Course Hotel is the first of its kind outside of the USA; it is a Kohler Waters Spa, a world-class spa experience that focuses on hydrotherapy. The unique aspects of a Kohler Waters Spa include experience showers with Kohler Real Rain, and two wet treatment rooms that provide unique Kohler bathing experiences. 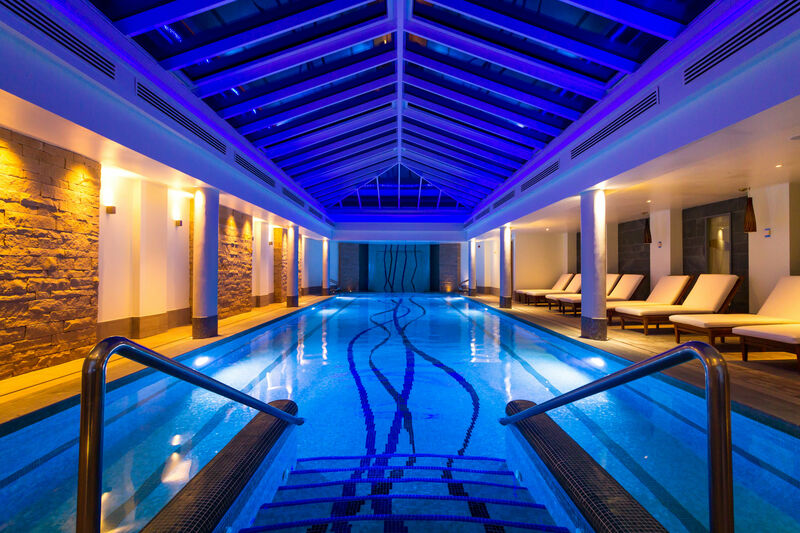 During the renovation, the glass roof above the spa’s pool was updated, and new couples' treatment rooms and a new spa café were added to the spa’s range of facilities. These spaces previously existed as the spa’s gym, but were made available when the gym moved into the hotel’s new state-of-the-art leisure centre. Built on Kohler owned land, the leisure centre was built to be structurally the same as the rest of the property. In fact, the team behind the extension has incorporated the brickwork from the old outer wall of the hotel into its design, creating a variety of textures in the corridors and adding a rustic element to the various spaces. Guests can enter the leisure centre from inside the hotel or through a separate main entrance that leads to an open lounge area and reception. The centre is home to a modern gym and a large pool – the latter of which was designed to sit adjacent to the spa’s pool; guests can access the spa pool through an electronically-locked door if it is part of their membership, or if they have arranged a spa visit as part of their hotel stay. 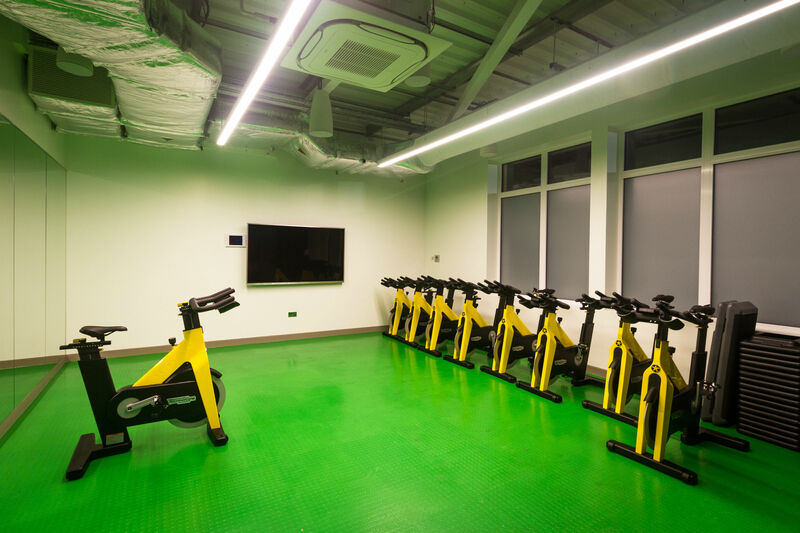 Clearly designed with fitness in mind, the leisure centre is a colourful, bright space that pops with bold greens and blues. Within the gym, all the equipment is new or updated for the modern user. The new pool has opened up the space to families, with both adults and children enjoying the water. Open to both hotel guests and the public, the pool features a child-friendly hot tub, lap lanes, and the hotel will soon be offering children’s swimming lessons. While the leisure centre is modern, vibrant and practical, the spa beside it offers the relaxation and luxury that guests have come to expect from the five star Old Course Hotel. 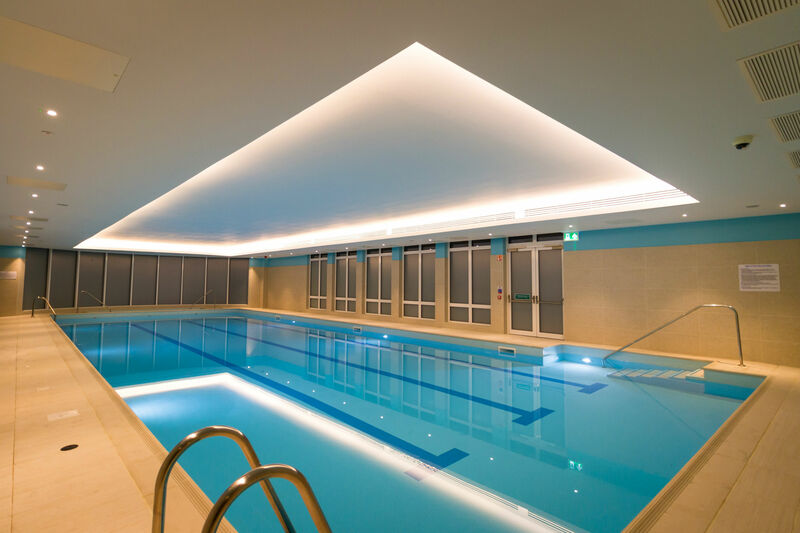 The spa works in contrast to the leisure centre, with muted lighting, soft neutral colours, and a meditative soundtrack that plays overhead peacefully. What both the leisure centre and the spa have in common however – and, indeed, share with the rest of the hotel – is the amount of different facilities available to use. From the deepest plunge pool in Scotland (at 8 feet) to a rooftop hot tub, the Kohler Waters Spa has everything guests might want during a relaxing stay. Equally, the newly designed leisure facility offers everything from swimming to year-round fitness classes on West Sands Beach. Plus, the hotel itself has a range of dining options, from the 3AA Rosette awarded Road Hole Restaurant to the relaxed Sands Grill. The hotel even has its own traditional pub onsite, The Jigger Inn, which is the oldest building on the estate and was once St Andrew’s stationmaster’s house. 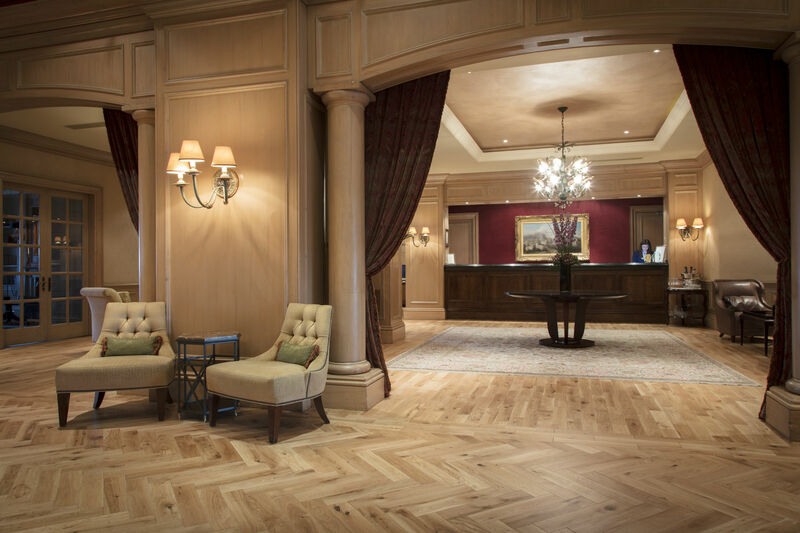 Kohler Co. was adamant that the Old Course Hotel’s the various renovations shouldn’t compromise the building’s classic charm, and it has managed to keep this brief with outstanding success. Brought into the 21st century through contemporary touches, the latest technologies and a state-of-the-art leisure centre, the hotel still nods to its heritage through rich fabrics, cosy rooms and a unique spa experience. Offering the best in Scottish tradition, modern amenities and with plenty of exciting activities and locations on its doorstep, the Old Course Hotel, Golf Resort and Spa is perfectly placed for holiday makers, golf enthusiasts, and design lovers alike.